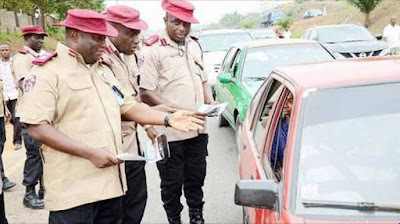 The Lagos State Sector of the Federal Road Safety Corps (FRSC) plans to embark on an “Operation Show Your Driver’s Licence’’ soon, according to the sector commander, Mr Hyginus Omeje. The aim is to encourage owners of the 56,767 driving licences currently lying uncollected in FRSC offices across the state to go and pick them. “We are embarking on this assignment so that motorists will come to our office to collect their driving’ licences. There are 56,767 licences yet to be collected by their owners,” he said. “We have sent SMS to their owners that their licences are ready for collection but they ignored our messages. The fine for a motorist driving without a valid licence is N10, 000 and the offender must produce the licence within 24 hours,” he added. Omeje said that if, after 24 hours, such offender could not produce a valid licence, his vehicle would be impounded. He said that in such situation, it would be assumed that the driver was not licensed to drive.